Kuy teav that is a noodle soup cooked from pork or beef bones and rice vermicelli and served with fried shallots, green onions and bean sprouts on top is one of the most popular breakfasts in town. Even though you can sometimes find rare-beef kuy teav as well fish balls and pork are the most popularly added. 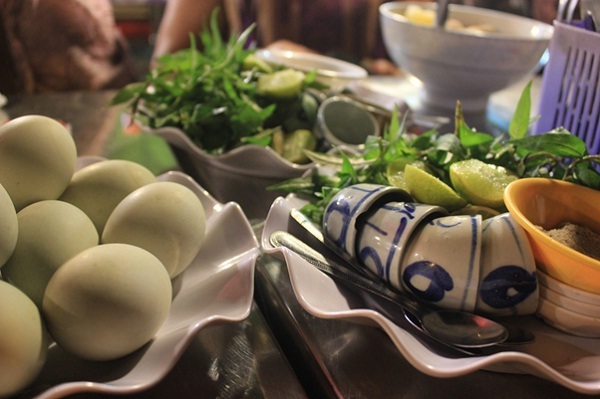 The dish is thought to be originated from the Kampuchea Krom–the area of Southern Vietnam, the place is famous for the Vietnamese soup and was used to be a part of the Khmer Empire. 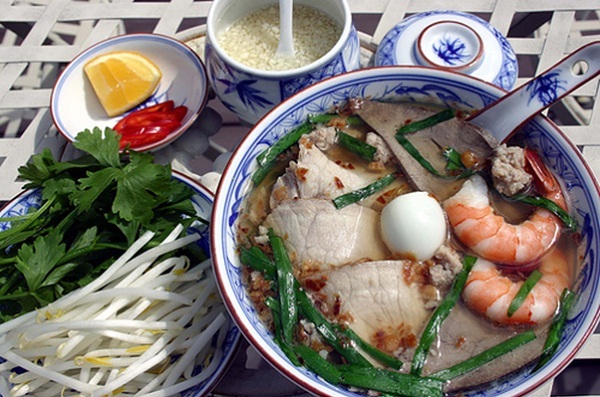 Being an another version of delicious Phnom Penh soup speciality, kuy teav Phnom Penh is also served with blood, liver, intestines as well as tongue. 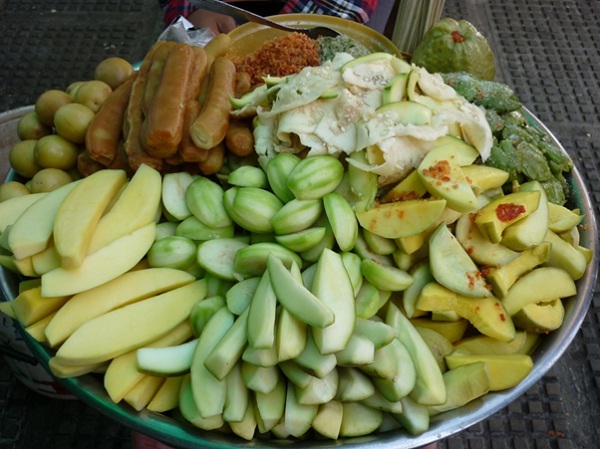 For pastime, snacking, particularly snacking on street food is claimed to be the best choice for the Cambodian. You will not be worried of getting sick or having stomachache because you can see local chefs cook the safest street foods – non-bacteria right in front of you and eating hot. At different times of the day, tourists can find different snacks available on all corners of Cambodia. Getting up early in the morning and come to these small roadside stalls if you want to enjoy best breakfast dishes such as kuy teav and bai sach chrouk offered by these local vendors. You can also see students gather around the streets after school to enjoy such restoratives as crispy spring rolls and barbecued beef skewers tucked into baguettes and with a green mango slaw on top late in the afternoon.